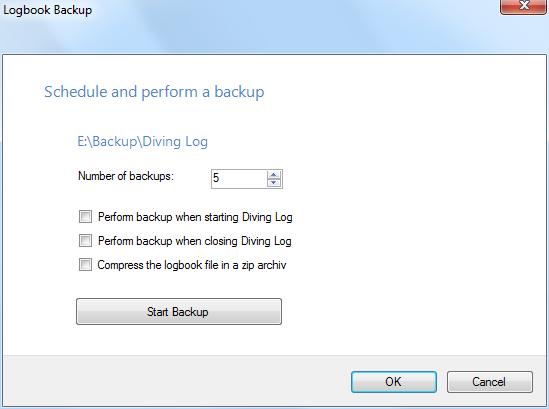 The backup function has been improved a bit since version 4.0 and is able to maintain several different logbook files. 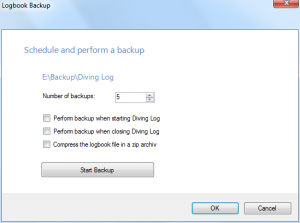 The backup files can also be zipped. 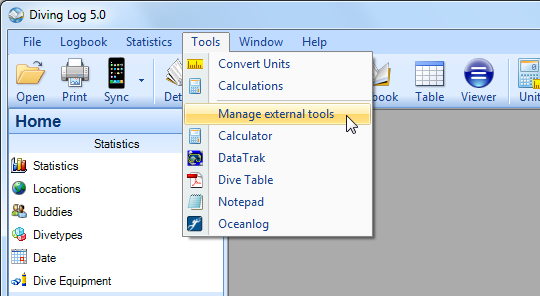 The external tools function is now also included. With this function, you can add a shortcut to any file or program to the “Tools” menu. 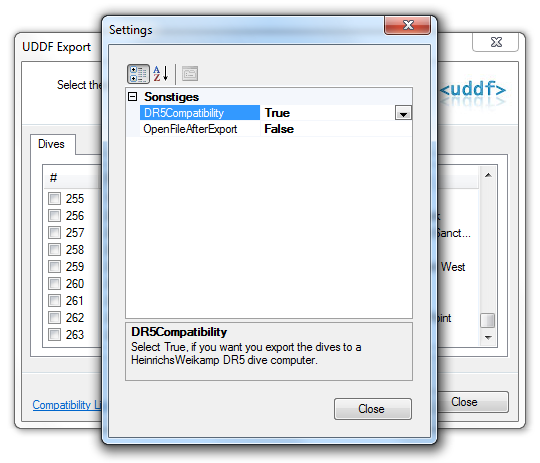 If you own a DR5 dive computer from HeinrichsWeikamp, you can use the new improved UDDF export to upload any dive from any dive computer to your DR5. 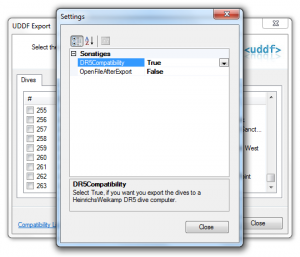 Make sure to set in the export settings the “DR5 Compatibility” option to “True”. 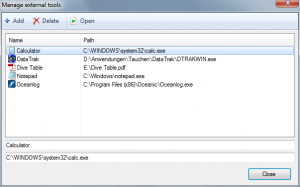 With the improved UDDF import you can select now several UDDF files and import them at once. 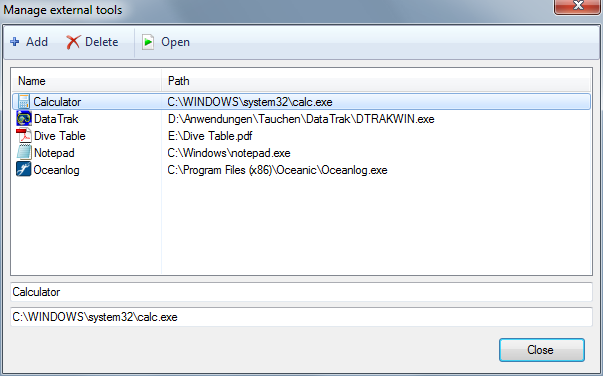 This makes it much easier to import from the DR5 where every dive is stored in a single file. If you own a Mares Icon HD dive computer, please write me an email. I need some dive data from the Icon HD in order to test the import function a bit more (I had no real data during the development of the importer). Thank you! This entry was posted on Monday, February 8th, 2010 at 1:52 am and is filed under Diving Log 5.0. You can follow any responses to this entry through the RSS 2.0 feed. Both comments and pings are currently closed.